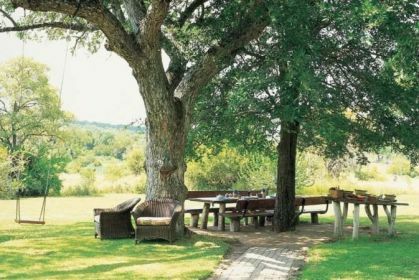 Singita Castleton Camp is a best-kept secret! Its a sincerely inviting, comfortable hideaway that exudes timeless charm. Castleton comprises a stone-walled farmhouse and six charming rooms in a garden setting, with fascinating memorabilia and artefacts that create an ambience of understated luxury. 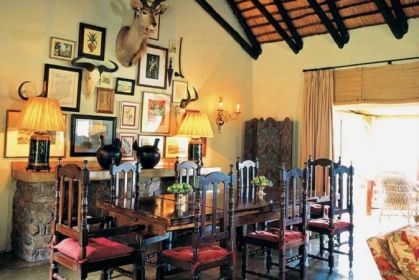 The camp is booked as an exclusive villa and can accommodate up to twelve guests at a time. 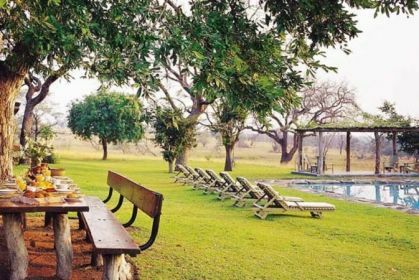 Guests enjoy sublime cuisine prepared by an executive chef, vintage South African wines, fireside dinners in the boma and sundowners out in the bush, while children can have fun at the tennis court, swimming pool or trampoline. There are 3 double cottages (4 twin rooms and 2 double rooms) with en suite bathrooms. 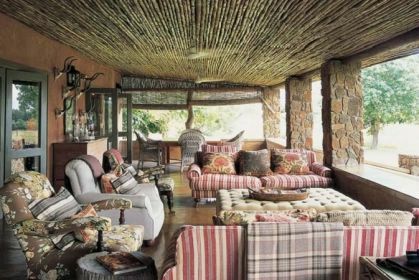 Tariffs include all-suite accommodation, three meals per day, all drinks, (excluding premium wines, spirits and liqueurs and champagnes) and open Land Rover safaris accompanied by experienced guides and trackers. With the exception of Singita Sabora Tented Camp and Singita Lebombo Lodge, children of all ages are welcome at our lodges and bookings are subject to availability. In the interest of safety, participation of children in any game activities (drives/walks/bike rides) is at the discretion of their guide. 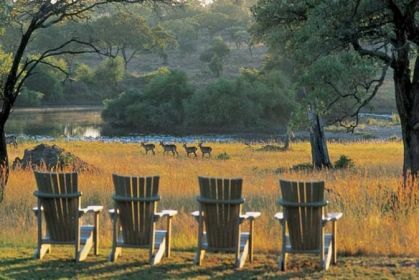 At Singita Sabora Tented Camp and Singita Lebombo Lodge children over the age of 10 are welcome. Community tours into neighbouring villages.